Product information "Spiel und Sport für Hunde"
Great Dane Bruno loves searching games, beagle Berta prefers to fetch the newspaper from the mailbox. And Labrador Kuno drops tired and satisfied into his basket after playing Frisbee with his owner. 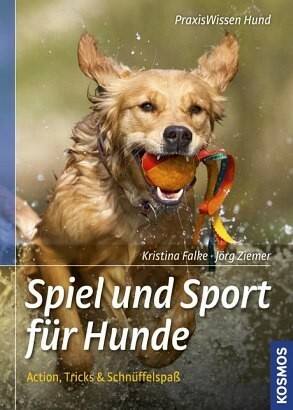 The types of play and dog sport which Kristina Falke and Jörg Ziemer offer something for every dog and dog owner - whether young or old, athletic or comfortable. Because shared activities are fun, strengthen the relationship and fully occupy both dog and owner.